The Plaster House is the home of the Rehabilitative Surgery Programme, a programme of the Arusha Lutheran Medical Centre in Northern Tanzania. It was established in 2008 to provide a unique and loving home away from home for children receiving pre- and post-operative care and rehabilitation for a surgically correctable disability. 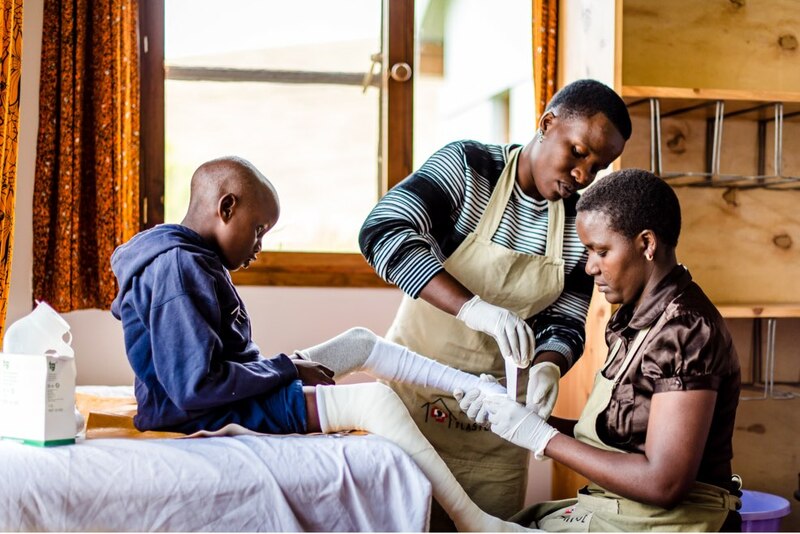 The Rehab Surgery Programme provides corrective surgery and rehabilitation to children up to the age of 18 who have a congenital or acquired disability. In Tanzania, children with correctable disabilities are often hidden from the view of others, without treatment they will grow up to be a burden on their community. Our outreach programme works to change this perception through education and increase the number of patients we treat each year. overcome a disability. We access orthopaedic, plastic or general surgery for our children at ALMC, Selian, Nkoranga, and other hospitals in Arusha. Rehabilitation at The Plaster House is play and other normal activities of daily living. occurs from day 1 to promote functional independence in all the children. appropriate should be brought in for treatment. The Plaster House is provides much more than surgical care and rehabilitation. It offers a unique home away from home for the children in our care.